Are you eagerly looking for a job in Banking sector ? Here is some good news for those people who are preparing for Bank Exams. 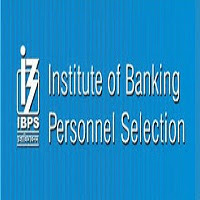 Notification already released , IBPS is to conduct the 5th common written exam ( CWE ) for clerk jobs in Indian Banks. There has been 19 public sector banks participating in this exam. There has been two exams in order to get a job in bank sector. The candidate must and should clear two round tests to be placed in banks. The exams were : Preliminary test and Main Exam . Dates are also different for both exams. We will find a lot of period in order to prepare for Main Exams. Age : Candidate age should be in between Min 20 years to 28 Years. Age relaxation for SC/ST is 5 years and for OBC is 3 years. Education : Candidate should complete Degree as on 1 / 9 / 2015 or before applying IBPS Clerk Exam. Language : Candidate should be fluent in their state language from which state they are going to apply. Knowledge : Extra Computer Knowledge is necessary to work.